We want your face! And the rest of you - to be the face of the radio station. Fancy it? 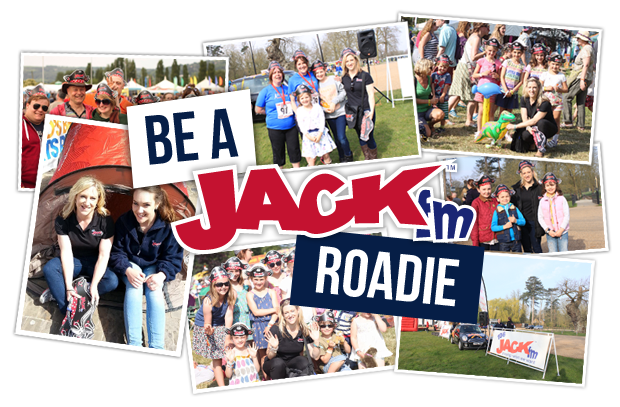 The JACK Roadies pop to some smashing events across the year (festivals, summer parties, fireworks nights, Christmas markets, fun runs, this, that, the other) and fly the flag for JACK and JACK 2 at them all. Sound up your street? We’re on the search for some new additions to the JACK Roadie roster. If you're outgoing, friendly, a little bit silly and enjoy attending events in exchange for money, you should totally 'hit us up'. If you're over 25 and hold a clean driving licence, that's a good bonus, but not essential. No matter what, you'll be happy being considered for work on a freelance basis when it's available. Just fill out the form below, upload your CV and we'll be in touch! Why are you interested in radio? Please finish this sentence – The staff at JACKfm will love me because..
And finally...if aliens landed in front of you and offered you a position on their planet, what position would you want and why?